Here comes new Mixtape from NerveDJs & CoreDJ USA, African Dj, Coast 2 Coast DJ, Ace DJ Hacker Jp. This is coming after Back 2 Back Mixtape in 2017. Agbomabiwon 1 as he is foundly called has been locking it down with lot of Playlist Bangers. 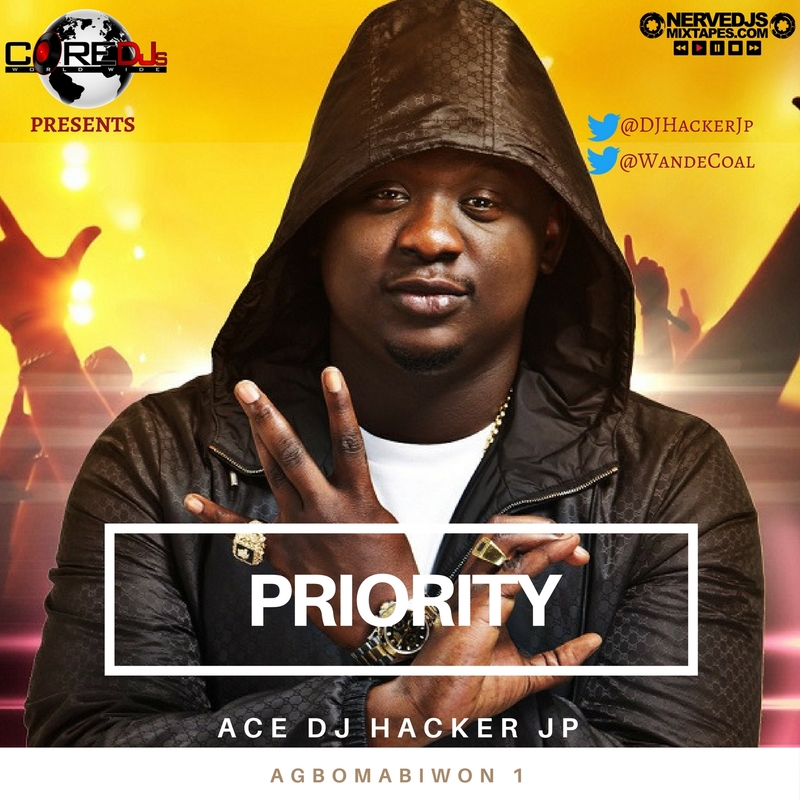 The Priority Mix is a Hot Mix which features Super Star Artists like Wizkid, Wande Coal, Ycee, Davido, Olamide, Reekado Banks, Vector, Mr Eazi, P-Square, Cabo Snoop and lots more..